On a quiet Sunday morning in San Francisco, a blue recycling bin stood on the sidewalk of Julia Alley beside a business building. 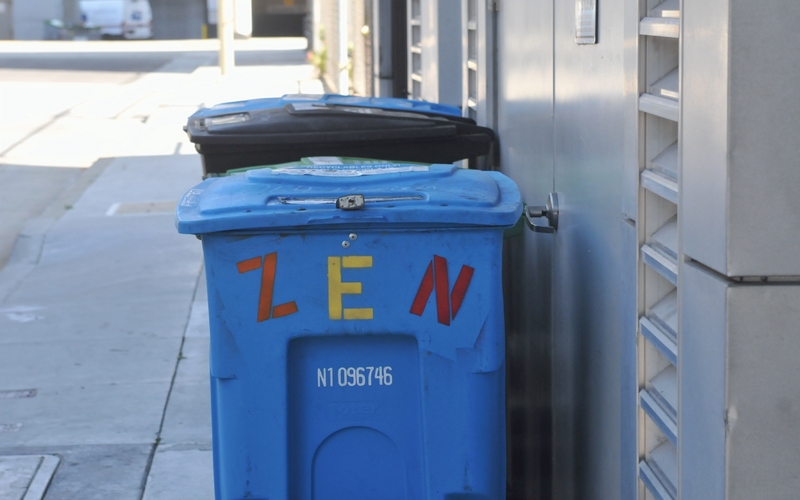 The word Zen on the recycle bin caused one to pause and pounder the meaning of a padlock securing the bin closed. The ZEN here, stood for the Zen Hospice Project, the "mindful" end-of-life hospice care project.